How to Create a Marketing Campaign Around Promotional Pens Available Online? Pens are often used in different locations on a commercial property. Places like the reception desk, individual offices, waiting rooms, etc, will have a number of pens scattered around. You should make sure that most, if not all of these pens are promotional pens with your brand name or logo printed on them. This improves visibility and ensures that every visitor and employee is exposed to your logo and branding regularly. Customers respond well to companies that get involved in social and environmental causes. 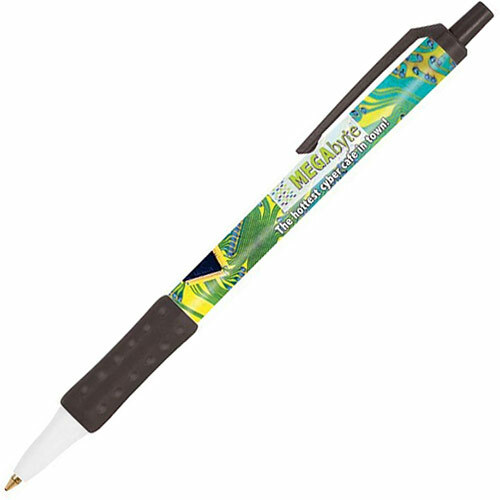 If you want to promote the green cause, you should consider eco-friendly promotional materials like our pens. These pens are made from entirely biodegradable materials so when people discard them, they won’t be a burden on the environment. Most of these pens are made from bamboo, which is an eco-friendly and sustainable material. You shouldn’t present affordable plastic pens to your important clients and business associates because that will leave a poor impression on them. If you’re on a tight budget, we recommend you present them with stylish metal pens that look great and are durable. They’re not as expensive as premium pens so they won’t be a financial burden. However, if you have some room in your budget, you recommend you purchase premium promotional pens online. These are manufactured by well-known brands like Bic, Parker, and Waterman. They look great, write well, and have brand value so they’ll impress your clients and associates. Plastic pens are very affordable and won’t cost much to purchase in bulk. These items are ideal for large-scale promotional events like conventions, trade shows, events, product launches, etc. You can distribute branded plastic pens to all the visitors to your booth or gift them along with any purchase people make. These pens are easy to transport so you don’t have to worry about carrying them to the event venue. If you include all the strategies mentioned above in your marketing campaign, you will get good returns on your investment. You will promote brand visibility and draw more customers to your business. If you want to know more about our promotional pens online here at Ezy Promo Pens, just get in touch with us today. Our number is 1300 753 675 and our email is info@ezypromopens.com.au. You can also contact us through this form and we’ll reply as soon as possible.